Agatha Christie, the unrivalled Queen of Crime, loved hotels. Many of her novels were written in, inspired by, or featured hotels. The Old Cataract Hotel in Death on the Nile; The Burgh Island Hotel of Evil Under the Sun; The Imperial Hotel in Sleeping Murder. The grand dame herself once vanished only to turn up eleven days later at the Old Swan Hotel in Harrogate, now the site of one of the world’s largest crime festivals. 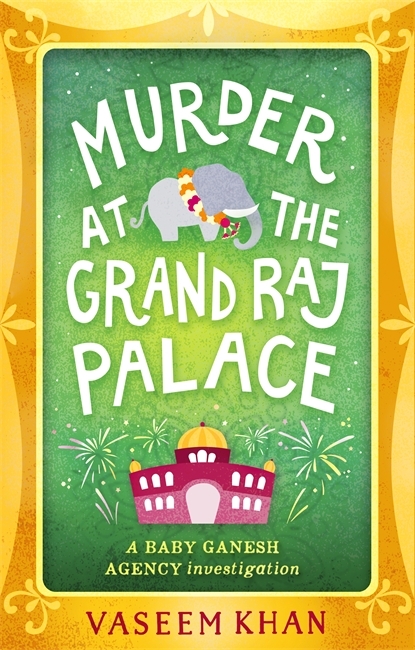 For the fourth novel in my Baby Ganesh Detective Agency series – featuring Inspector Ashwin Chopra, formerly of the Mumbai police, and his one-year-old baby elephant sidekick – I chose to follow in Christie’s footsteps and set the novel in a hotel, one with a long and storied history on the subcontinent. As with the other books in my series, I weave the crime narrative with a dissection of the realities of life in modern India. Indeed, my aim with these books is to take readers on a journey to the heart of the subcontinent, to place you on the streets of Mumbai, amidst the choking traffic, the heat and dust, the chaos of street vendors, beggars, lepers, eunuchs, stray dogs, cows, goats … and elephants. India is poised on the cusp of becoming a global superpower. Globalisation, wealth, and westernisation have transformed the country. Yet historical problems remain. Nowhere is this more apparent than Mumbai – once Bombay – India’s ‘city of dreams’, a place where glamour and wealth sit side by side with vast slums, caste prejudice, and inequality on a scale unseen in the west. In the best traditions of Christie, I use my books as a vehicle to comment on this changing society. 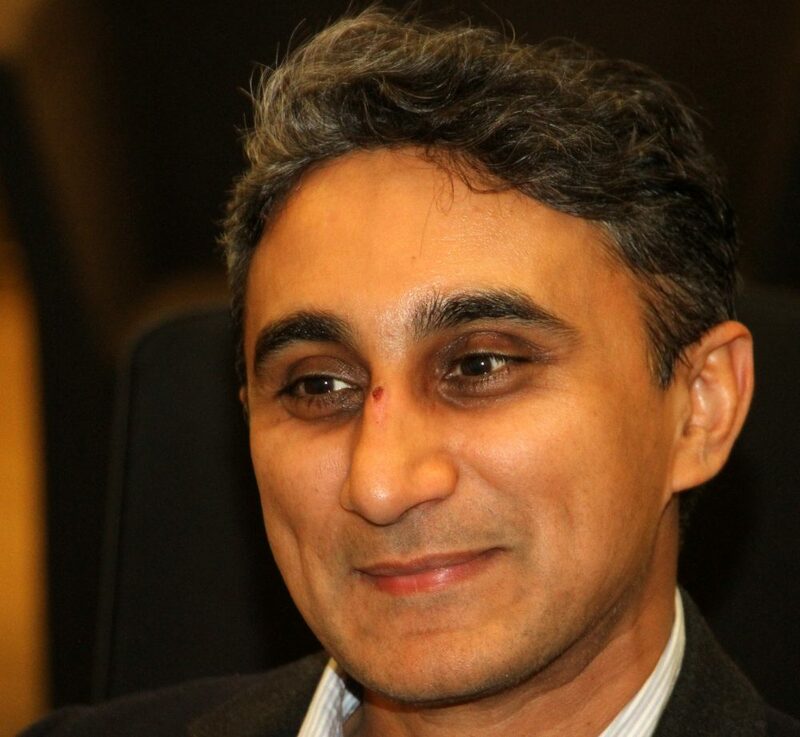 Chopra himself is a serious man, one who cares deeply about the social ills that he sees around him. The fact that he has inherited a baby elephant and finds himself cast in the role of its impromptu guardian serves only to highlight his dogged commitment to ‘old-fashioned’ values of decency, morality, and a desire to enact justice in an often unjust world. In writing this fourth book (the first, for those new to the series, was The Unexpected Inheritance of Inspector Chopra, a Times bestseller in the UK and an Amazon Best Debut; the series has since won a Shamus Award in the States) I called upon the ten years that I lived in India where I worked as a management consultant to the hotel industry. At the tip of Mumbai is the Taj Palace Hotel – the hotel that the Grand Raj Palace is based on. It was whilst wandering around this incredible building that the idea for this story first came to me. The Taj is India’s most iconic hotel. It was built a century ago by Indian industrialist Jamsetji Tata when he was refused entry to the nearby Watson’s hotel because of its ‘whites only’ policy. Tata vowed there and then to build a hotel more opulent than anything the British had ever seen. And that’s exactly what he did. For more than a hundred years now the Taj is where anyone who is anyone stays when they visit Mumbai. From screen sirens of the Twenties, to the Beatles, to the Obamas. The hotel is steeped in tradition and history and so I thought it would make the perfect setting for an Agatha Christie style murder mystery – with an elephant! Thanks so much for this! I loved reading it, and I love this series!! Glad to come across your post. Congratulations on newest book. Shall start with first. Love your books. Keep it up!